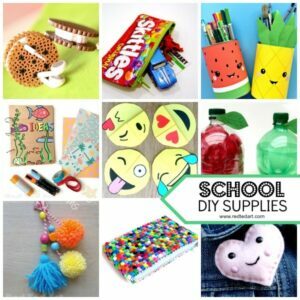 Oh we do LOVE DIY School Supplies! 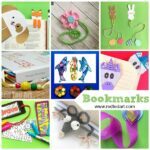 Anything from Bookmark Ideas to Pencil Holders , making those Back to School preparations creative, fun and personalised! 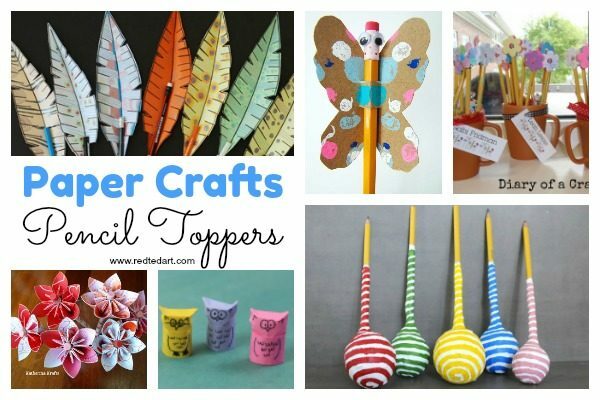 Today, it is all about Pencil Topper Craft Ideas and all the homemade pencil toppers we have made over the years. We love pencil toppers, because usually they are fun, bright, colourful and quirky and simply a great way to personalise what is in your pencil case! Pencil toppers also make fabulous party crafts or party bag activities, they are great gifts for friends – be it on Valentines Day or end of school and also make great gifts for teachers. 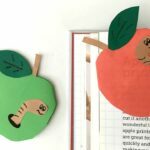 So quick and simple stationery DIY with lots of fun uses. 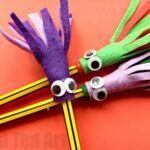 Adorable Monster Felt Pencil Toppers (great for Halloween and Valentines Gifts too) – these are SO quick and easy to make… make one. Make 100!!! Whilst on the lovely Paper Owl Crafts.. check out these oh so cute Paper Owl Pencil Toppers! Darling! They double up nicely as Owl Finger Puppets too! We also have some super duper quick and easy Pipe Cleaner Heart Pencil toppers – perfect for Valentine’s! 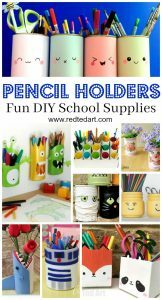 More how to make pencil topper DIYs from sites we love! 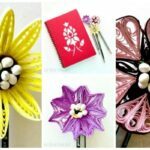 This section is dedicated to Pencil Topper Craft Ideas by type of material. Hopefully that will make for quick and easy browsing and lots and lots of pencil topper DIY inspiration. First up, you may still have some of those (pesky) Loom Bands flying around. 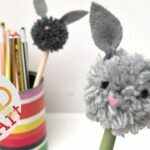 If yes, you may just want to make some of these fun Loom Band Pencil topper ideas (I think the colourful Pom Pom Loom Band Pencil Toppers are just genius – super easy and a great way to use up lots of your left over loom bands – regardless of colours!). We also think this HUGGING Panda Bear Loom Band Pencil Topper by Made by Mommy is just TOO cute! 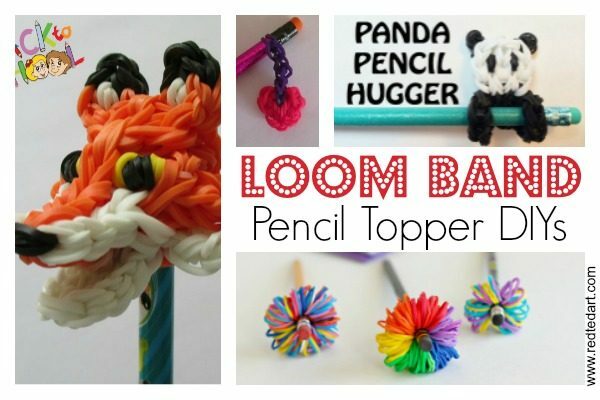 Loombicious has the COOLEST Fantastic Mr Fox Loom Band Pencil Topper. I am just totally in awe and totally want to make this! 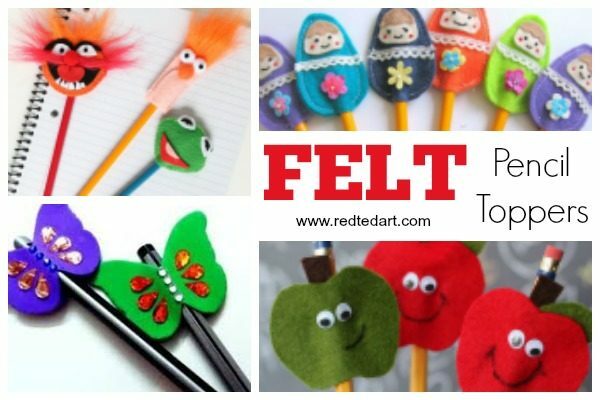 Felt is a great material for making pencil toppers, as it comes in bright colours and is durable. 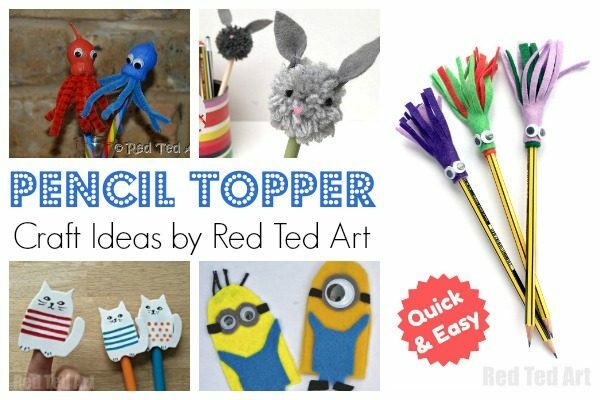 We love seeing how to make felt pencil toppers and all the great ideas and designs out there. Many of the easy felt pencil toppers in this list come complete with pencil topper templates to make life even easier for you! Now as you well know we have a THING for Paper Crafts!! 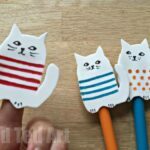 And have all sorts of paper crafts for all occasions….. so it just wouldn’t be right NOT to have a section on how to make pencil toppers with paper. 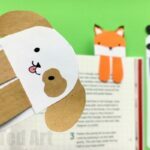 I am pretty certain that this list will grow over time (as our love affair with paper crafts continue) so do check back occasionally to see what I have added! 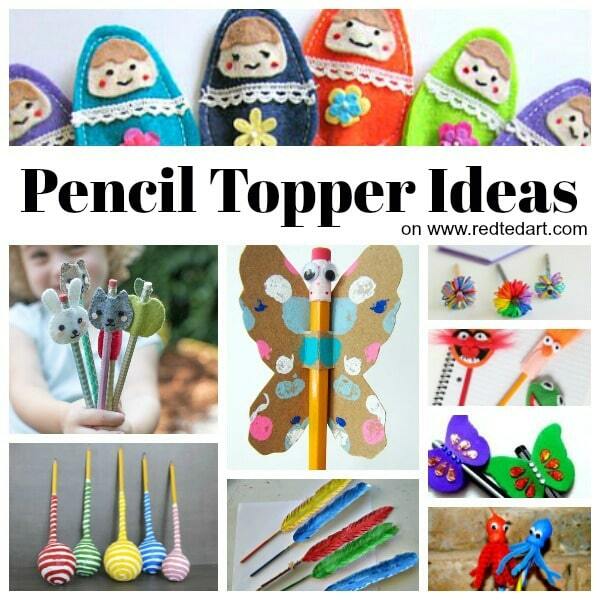 And how about these brilliantly fun papier mache paper pencil toppers by Arts for Kids and Robots? So fun! 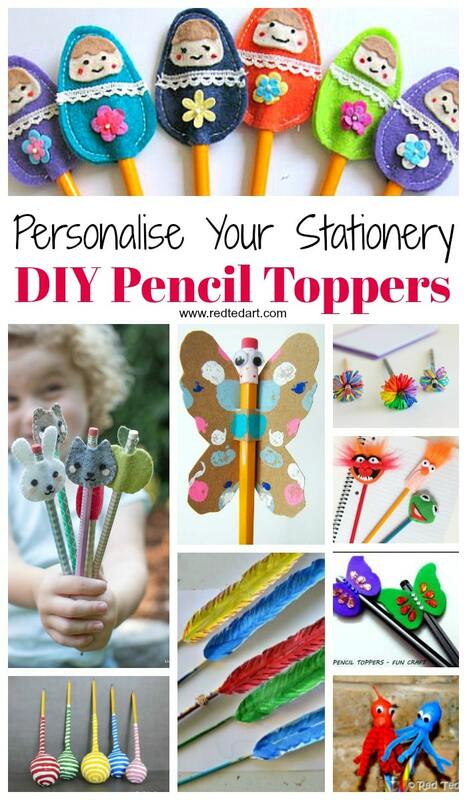 Happy Stationery Personalising and Pencil Topper making! Currently designing more dog breed pencil toppers and maybe some other animals later on too.